While many investors nowadays obsess over quick profits, its best to wait at least three years, or better yet, many more, before evaluating holdings. While many investors nowadays obsess over quick profits, it’s best to wait at least three years, or better yet, many more, before evaluating holdings. Consider investment returns, the financial adviser at Stralem & Co. said in an interview at her New York apartment, where, surrounded by paintings from Dutch masters, she telephones her clients. While many investors nowadays obsess over quick profits, it’s best to wait at least three years, or better yet, many more, before evaluating holdings. But don’t be afraid of revising your thesis, she said. If thorough research favors a portfolio shift, have courage and make changes. As one of the oldest working professionals in an industry run by men half her age, Bergman offers a rare perspective. 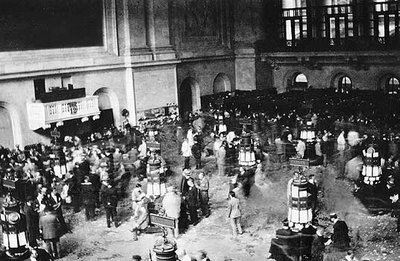 She recalls the small private firms founded by German Jews of the 19th century that came to define Wall Street before their partnership model gave way to public listings, and honor succumbed to an ever-fiercer push for profit. Guests at Bergman’s midtown Manhattan apartment, where she’s lived for more than 60 years, may be invited to sip a vodka or scotch, while seated on furniture crafted in Europe before World War II. The French Louis XV chairs are off-limits. Four personal assistants attend to her needs around the clock, and she calls on colleagues at New York-based Stralem including Chairman Hirschel Abelson when she needs research on particular securities. While she never married and doesn’t have children, she does own a Maltese named Fanny. Her career was a near-realization of a dream she had as a teenager. In an essay at the time, she wrote that she wanted to follow her father, a private banker, onto the Berlin Stock Exchange. He made that world seem so “lively,” she said. She would have been the first woman to attain that position. Those aspirations stalled when the Nazis chased her Jewish family from Germany and then Holland. They came to the U.S. In 1942, Bergman began working as a secretary at a bank. Fifteen years later, she joined Hallgarten & Co., a member of the New York Stock Exchange. Stralem oversees almost $2 billion in assets and runs a strategy focused on identifying “up-market” and “down- market” stocks. It manages money for institutions and individual accounts, 11 of which are Bergman’s. She serves on its investment committee. Bergman, who stopped visiting the office in December and turns 100 in August, attributed her longevity to good genes, not any special diet. She said she stayed physically fit by riding dressage horses until she was 80 and mentally sharp by forgoing retirement. Bergman speaks with Stralem colleagues daily and talks with some clients every week. “She’s been through multiple business cycles, ups and downs, recessions, depressions, and has a good feeling for where things are going,” said George Falk, a doctor of internal medicine in private practice in Manhattan. Bergman has Falk, 75, invested 100 percent in U.S. Treasuries. Her family’s post-war experience informs her advice today. Because it took a decade after coming to New York for Bergman to recover her family’s wealth, which was frozen by U.S. and Dutch authorities, she emphasizes the importance of safeguarding funds. One bright spot for today’s investor is the ability to sell large blocks of stock quickly, Bergman said. Years ago, it would have taken Stralem weeks to execute a large order. Now it takes hours or days. Her caution has translated into loyal clients, according to Philippe Labaune, head of trading at Stralem, who said that in almost 20 years at the firm, he’s never seen her lose an account. Though some did close when their owners died. Customers appreciate that she has her own wealth. “They had the feeling that I didn’t need to churn their accounts because I had money myself,” she said. Bergman does recall one investment she let slip away: Apple Inc.
That brings her to another tip: Make your own decisions.